Butcher and Meat Processing Equipment (BMPE) is a leading supplier of superior quality New and Refurbished meat processing equipment to the African market. Our primary focus is to provide a professional service to the food industry with regards to Equipment, Spares and the latest Technological innovation. With more than 22 years’ hands-on experience, we are able to provide our customers with an excellent service in all areas of the meat processing industry and have over the years achieved a good reputation for being efficient, cost-effective and professional. We import machines for our local clients across the whole of Africa, ensuring that they benefit from machines of the highest quality at an excellent price. Our staff have extensive knowledge of current Machines, Technologies and Consumables and we also provide a modern Service and Maintenance Department to support our customers throughout the process. We service a diverse range of customers, from Large & Small Butcheries to Abattoirs, Supermarket Groups, Franchise Outlets and Corporates. 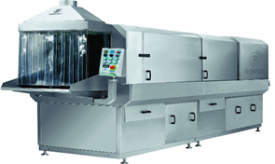 MHM – 68 Injector Modern machines designed for brine injection of meat, meat products, carcasses poultry and fish. Designed to wash all kinds of plastic containers, covers of containers, euro-pallets* and buggies*, giving optimal washing effects. 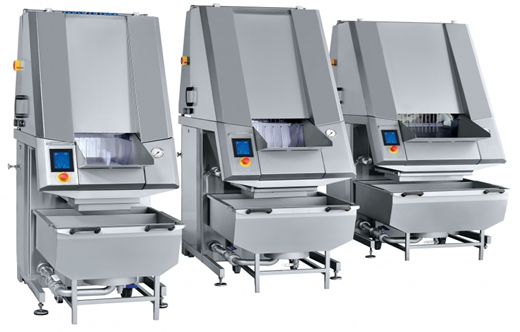 The MP-300, MPU-600 Container Washers are available in a modular version (with possibility of extension of the initial washing module and/ or the air blow-off module). 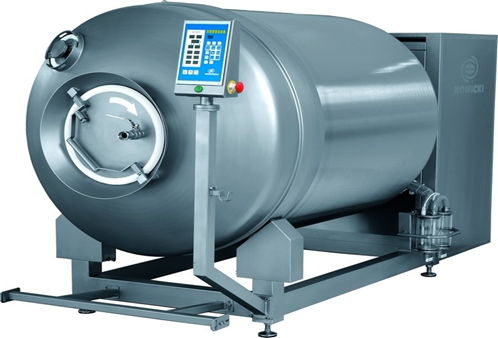 Are designed to improve vividness of the muscles, meat elements, small meat pieces, chicken bodily sizes and elements in the vacuum environment, ensuring the high quality of meat products.